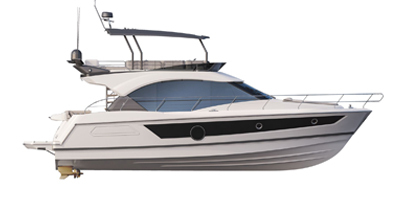 The Flyer 5.70, thanks to its legendary hull and solid construction, can be adapted to all styles of sailing on all seas. With a maximum engine power of 150hp, its steering is synonymous with pleasure, for sporty trips as well as family jaunts. If you prefer having available space on deck, the Flyer 570 Open was made for you: it was truly designed around the central steering console.